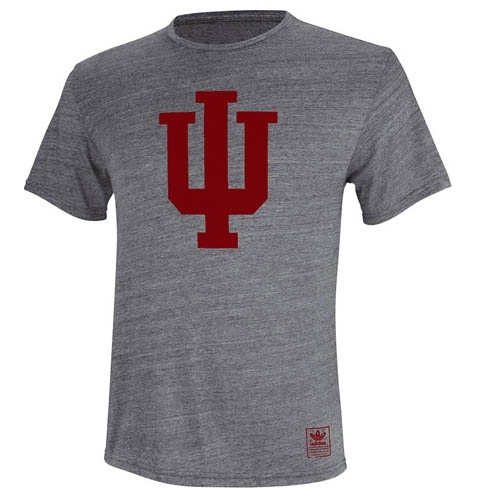 ADIDAS Grey INDIANA "Big IU" Short Sleeved T-Shirt. Designs says it all. Classic Adidas look with Indiana IU design. Unisex (mens) sizes.